Service in Hours Not Days. We value and respect your time. We offer prompt, efficient service to fit your busy schedule. We serve: Residential/Vacation Home, Condo, Cottage & Mobile Homes. 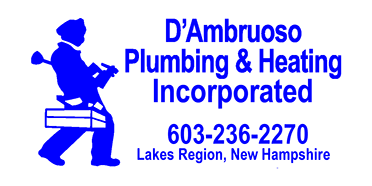 D'Ambruoso Plumbing & Heating, Inc. is a Family Owned Business since 1998. We are proud to introduce our son Vincent, as a NH Licensed Apprentice, to our team in 2014. Meet the Manager Michele D.
I am Office Manager and Owner with Ed. I schedule appointments and deliver materials to Ed & Vince in the field, when needed, to cut down on their road time. We try to accommodate all schedules for our customers and have Saturday Hours available by appointment to accomodate Out of State Owners as well.